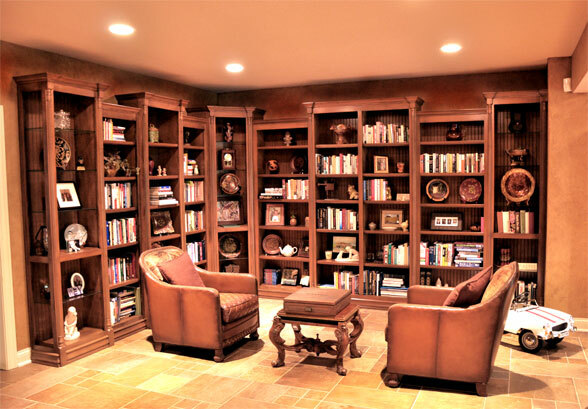 Whether for the family room, bedroom or any other room in your home, bookcases add warmth and style to express your own unique life. 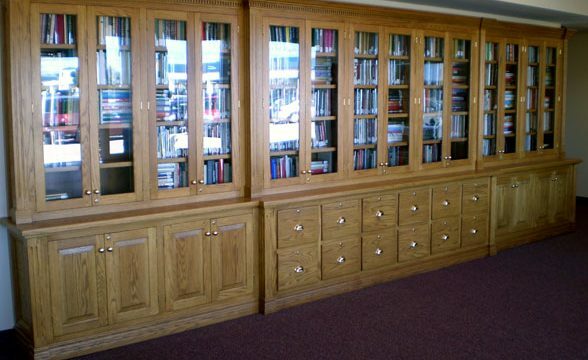 We have created bookcase units that are small enough for student apartments or massive units for law offices. 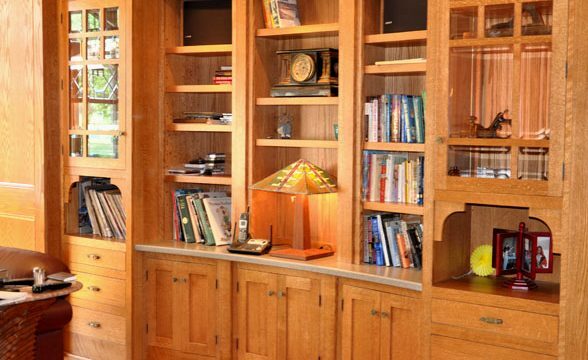 Small or large, a set of Randall Cabinets and Design bookcases can help you organize volumes of your favorite author or display your most cherished treasures. 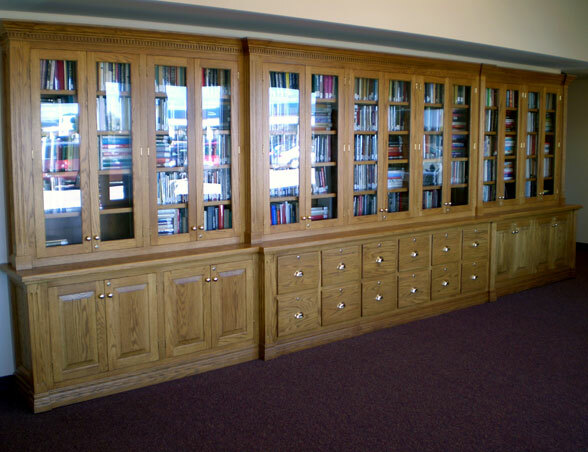 Our beautiful bookcase designs can help give your room a focal point and help set the area off as a quiet haven to enjoy solitude and peace of mind to know you have invested in quality cabinets for your home. 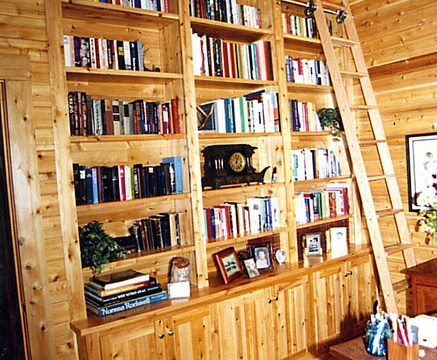 A built-in bookshelf might be the solution to your organization problem. 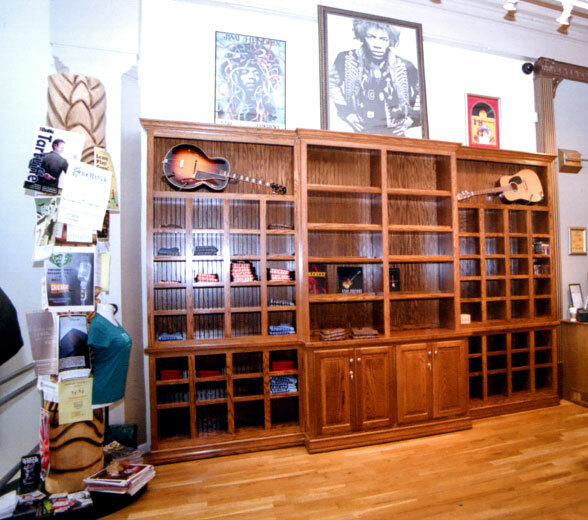 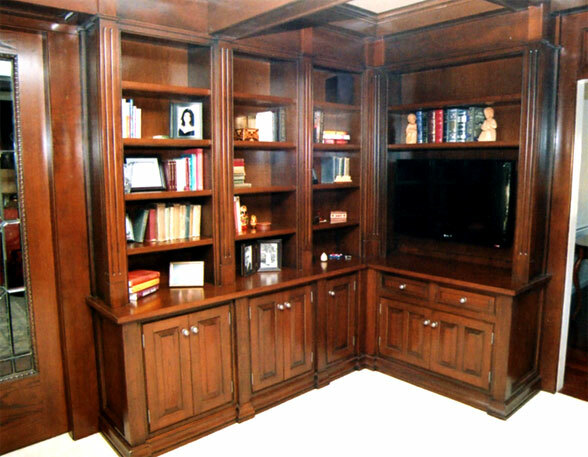 Enhance your relaxation space with a custom bookshelf design from Randall Cabinets & Design. 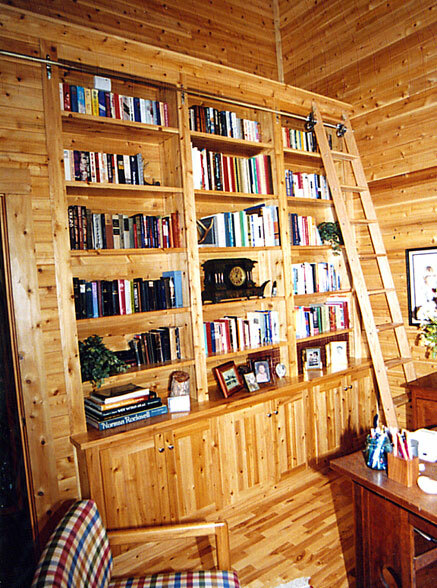 This custom piece even features a ladder for convenient accessibility to all your treasures. 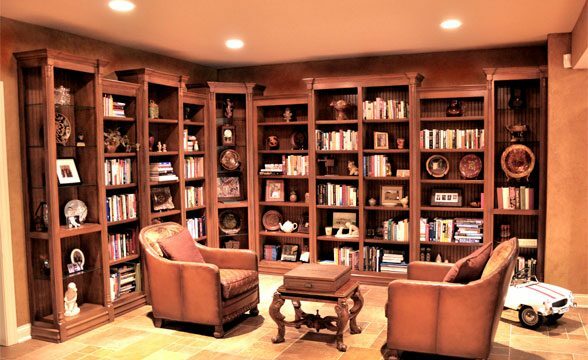 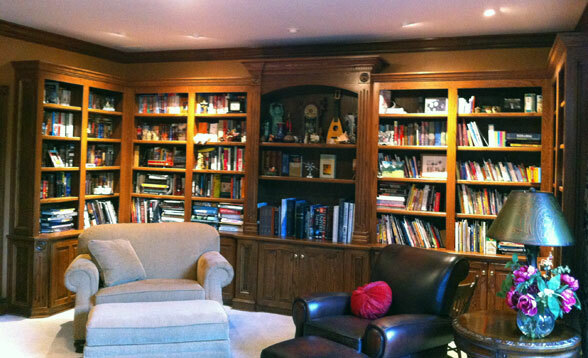 Randall Cabinets & Design can make your home library your favorite room in the house. 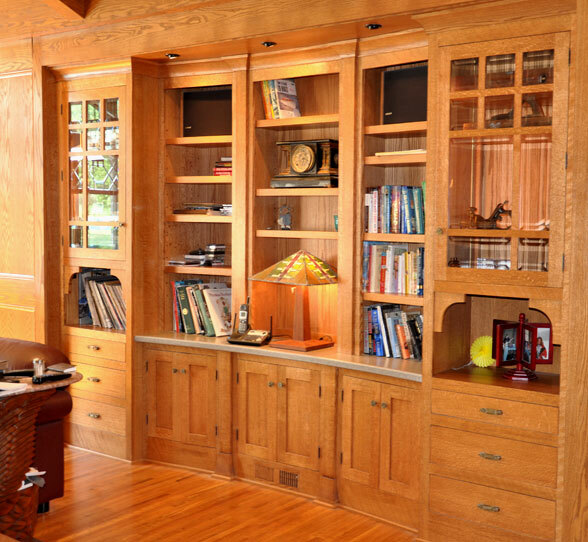 This classic design fits seamlessly into the room. 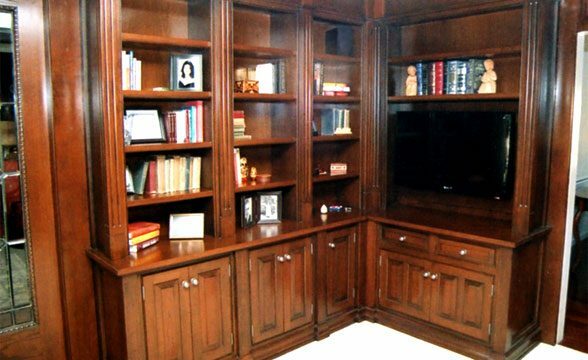 Upgrade your personal library with a custom bookshelf and entertainment center by Randall Cabinets & Design. 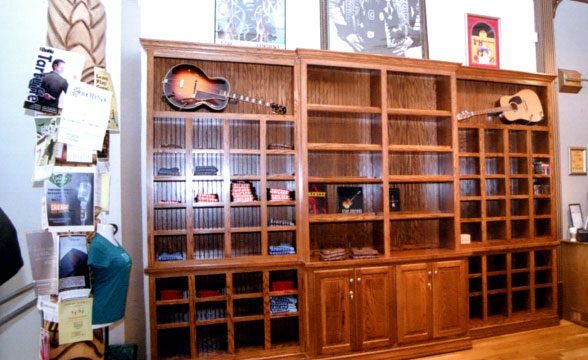 Randall Cabinets & Design can design and build a custom storage unit for any unique items. 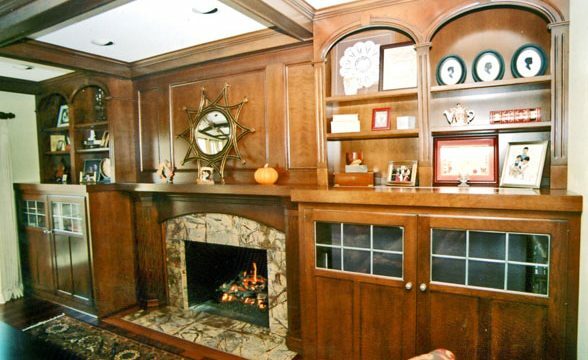 Want to update your fireplace and add bookshelves? 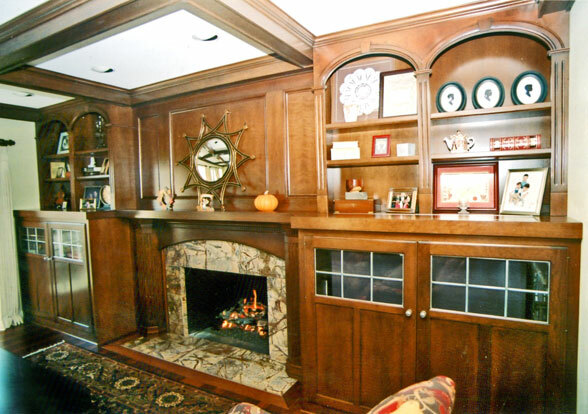 Randall Cabinets & Design can do that!